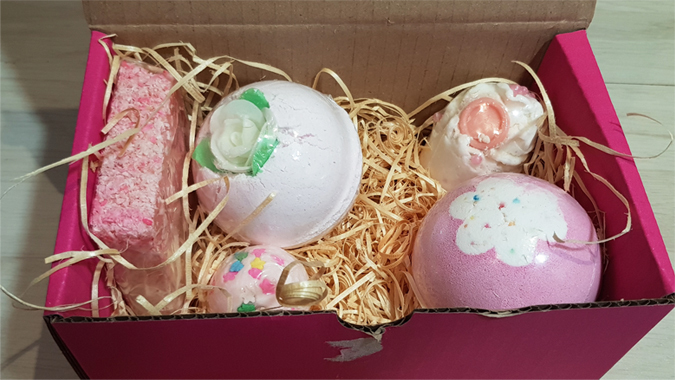 When people talk about acts of self-care, long, luxurious baths come up quite often. 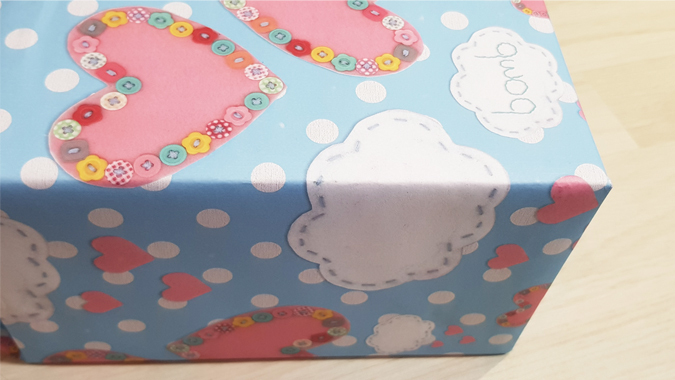 I’ve never really been a fan as I quite often find it to be a waste of time, particularly now that I’m a parent and time to myself doesn’t come around that often. Now I’m a total convert. 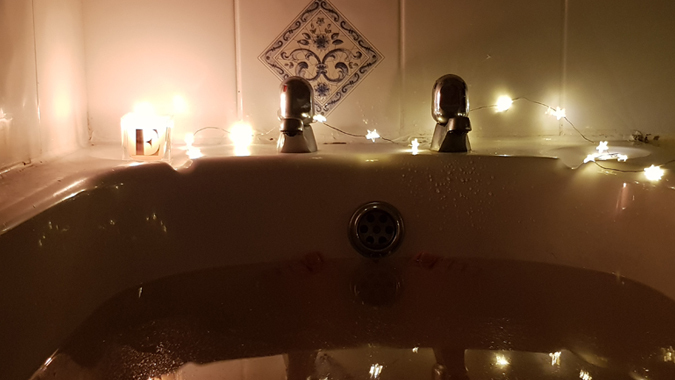 Taking half an hour to lie in a warm bath, in a room to myself, catching up on podcasts, is actually a pretty awesome way to spend my time. 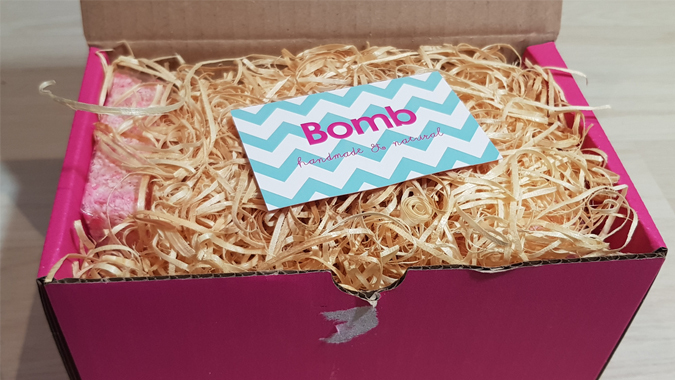 Luke’s parents got me a Bomb Cosmetics set for my birthday (‘scuse the cropped pics – Jenson tore into it before I did!) and they’re a great addition to an evening of peace and quiet. 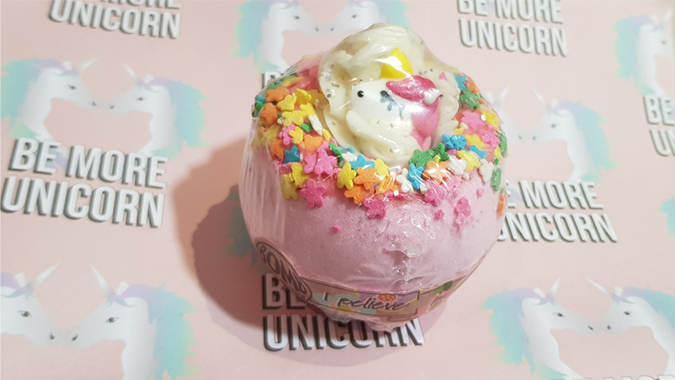 When we were at Land’s End last week, there was a stunning display of Bomb Cosmetics products (you might have spotted them on my Stories) and my brother was kind enough to treat me to a unicorn bath bomb. 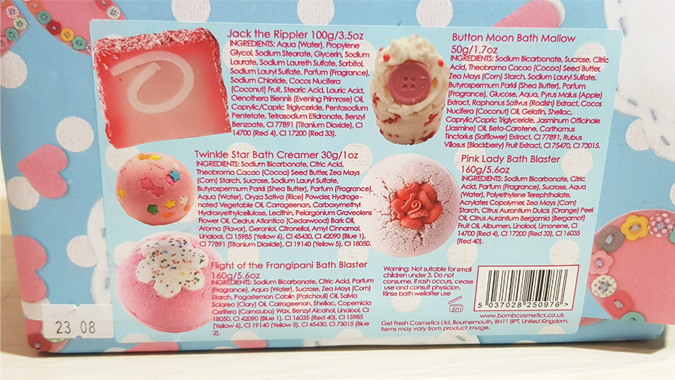 I wish I could send the smell through this blog post to you because it’s the nicest smelling bath bomb I’ve ever used. Some can be a bit too perfumey and overpowering but this one is lovely. And the scent lingered in my bathroom for a good couple of days after. 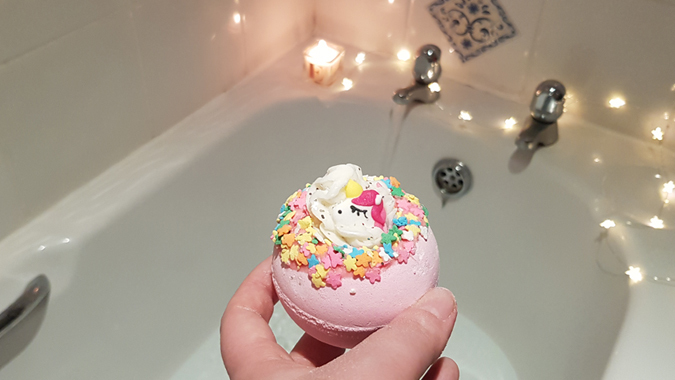 My surgeon told me to have lots of long soaks in the bath to help with my recovery, so I can’t think of a better excuse to use all of these lovely products and catch up on Hashtag Authentic. If you’ve got more podcast recommendations, send them my way.